Golf at the Next Level. That’s what we deliver… No matter where you start, we’ll help take your game to a new level. Up you go! We don’t deal in theories. 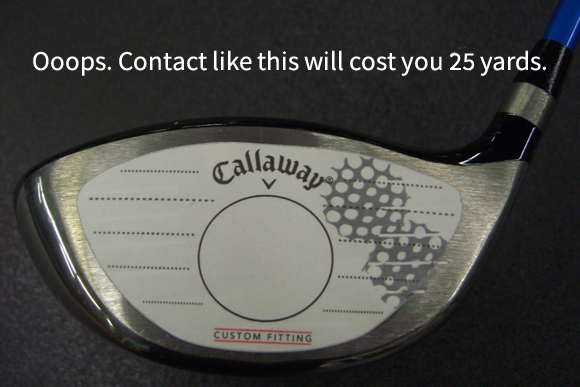 We deal in facts and data that we’ve accumulated from golfers just like you, over the last 35 years. The facts prove that any golfer – young or old – can find more distance, and lower their scores, without delving into the mechanics of the swing. This evidence-based approach to golf instruction is only taught in The Villages, and it begins with the putter. Because that is, without a doubt, the shortest path to improvement. Learn from Iron Archie, the most accurate putter in Florida. 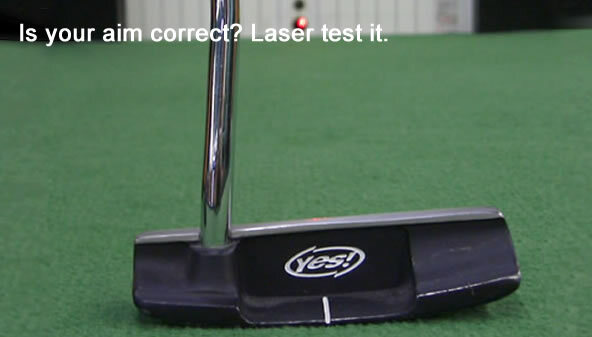 See how your eyes and alignment can fool you into missing easy putts. Feel for yourself why “straight back and straight through” might not be the right stroke for you. Bring in your putter, and find out if it is helping you, or hurting you. Participate in a hands-on learning experience like no other. That lousy round of golf is written all over your face. 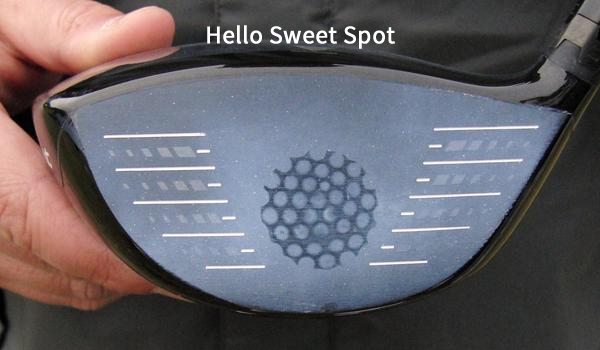 See those impact marks… that means you’re missing the sweet spot and giving up precious yards. Before you drop $300 on a new driver or a hundred bucks for a putter, bring your current clubs in and have them tested. Here are just a few things that we often find… Irons that set you up for failure. Putters that just don’t line up. Shaft flex that varies dramatically from one club to the next. We can even learn a lot about your game just by looking at your golf glove! John S. Ford has been engineering golf clubs since the 1970’s. His client list includes dozens of hall-of-famers, including Jack Nicklaus, Dave Stockton, Sam Snead and Julie Inkster. But more importantly, he has helped thousands of regular golfers, just like you. He’ll get your clubs dialed in, so you can drive if farther and hit more greens, without spending a fortune.